An unexpected auto repair bill can blow a big hole in your budget, but there may be a way to save up to thousands of dollars with just some research. According to Consumer Reports, many consumers are getting ripped off because automakers don't widely promote programs that provide free or deeply discounted service work. Such secret or hidden warranties cover often cover things like air conditioning system problems, peeling paint or faulty parts that don't affect the safety of passengers. They contrast that to recalls that cover problems relating to safety, such as the General Motors (GM) ignition switch recall. "If you're having a problem, particularly a recurring one," said Jonathon Linkov, deputy auto editor at Consumer Reports, "definitely do some leg work. Talk to the dealer service department." Input your vehicle identification number on the manufacturer's website to find such service actions or campaigns. Automakers often learn about problems with their vehicles from consumer complaints. They may be frequent enough to pop up in a statistical analysis, but not so widespread that they affect all vehicles of that particular model. If that's the case, the manufacturer often offers a limited extension to the warranty. The magazine reports that, at any given time, consumers can find "one or two of these out-of-warranty service actions from many manufacturers." Second or third owners of a vehicle are more likely to miss out on these repair offers, because dealers' letters of notification usually go only to cars' original buyers. Such offers also are usually included in technical service bulletins the automakers send to their dealer service departments. So if you're driving a used car or don't use a dealer for repairs, you really have to search out these offers. "The general idea of a program that has a running fix is great," said Linkov, "but the fact that you have to dig to find it is a problem." Consumer Reports says that "if your car develops a notable problem that's not connected to wear and tear or collision damage, it might be worth checking" to see whether there is a technical service bulletin related to it. Even if no warranty extension is available, a common problem could give you leverage in negotiating a discount. Linkov says you can push the issue with a regional service manager. "It never hurts to ask." So how much money can you save by uncovering a hidden warranty? A Consumer Reports staffer got an estimate on repairing the air conditioning of a 2007 Honda (HMC) CR-V. The price: $681, plus tax. But after asking Honda customer service about an extended warranty, the price for the repair came down to $100. Another Honda needed a lower block replacement. The bill for parts and labor came to $4,400. With the warranty, the repair was free. Consumer Reports notes that Honda is among the most reliable cars on the road and that its service campaigns are "unusually generous." Linkov notes that hidden warranty programs often cover problems that affect only a relatively small number of cars. To research these secret and hidden warranties, you'll need your vehicle identification number. Then call the dealer's service department, check the automaker's website, look in the "owners" section of SaferCar.gov or go to ConsumerReports.org/carrecalls. When you get into that back office and start signing all the paperwork, the topic of extended warranties will come up pretty quickly. Ellie Kay, an author of 15 finance-related books, notes that such warranties are negotiable. "Before you sign on the dotted line, check out other sources of extended warranty pricing," she says, such as those provided by your bank or insurance company. "Then either use this lower price in the financial and insurance office for negotiation to get them to match the price, or buy it from the other source." A scenario from Kay during her last car purchase: "The dealer quoted me $4,200 for a three-year extended warranty for my 280SLK Roadster Mercedes that included a $250 deductible. USAA -- my insurance company -- gave me a three-year warranty for $3,200 with zero deductible. I've used the new warranty once already. The bill was $1,100 and I paid nothing because of the zero deductible." Bottom line: The default extended warranty is almost always the worst deal. You may have a monthly payment figure in your head when shopping for a new car, but your interests are better served when you focus on the out-the-door price instead. "A sales rep can often trick you by offering a lower monthly payment, but [one that] will stretch out the terms of the loan," says David Bakke, a car buying expert at MoneyCrashers.com. You can reduce the overall cost of the car via negotiation and by skipping accessories and add-ons. "Things like navigation systems, rims, floor mats or car audio/entertainment systems can be purchased from a third party vendor, usually for less." All our experts agree: Don't even mention your preferred or maximum monthly payment price. If you decide to trade in your current vehicle for another, Kay says to negotiate this apart from the price of the new car and only after you've negotiated everything else. You can learn the full value of your car by going to Edmunds.com or kbb.com. Once you know what the car is worth, don't settle for anything less. Kay also advises you to seriously consider selling your old car yourself, and applying what you get toward the principle of your loan. It may be tempting to just head to one local dealership, take a test drive or two, and walk out the door with a new car, but you'll save yourself a lot more money by doing a little pre-shopping research. "Once you have your choices narrowed down to a few makes or models, contact the Internet sales manager of a few dealerships," suggests Bakke. "These folks can often offer better pricing than what you'd find dealing with an on-site sales person. Plus, you save time." In addition to, or in lieu of, e-shopping, Joshua Duvall of Capital Financial Services says to "find a few vehicles from different manufacturers and pit them against one another." He explains that the car buying market is based on quantity and the fact that dealers want to move cars. "Force them to compete for your business." "Dealerships often employ hard-sell tactics that can be overwhelming for a first-time buyer, so it is a good idea to go with someone who has been through the process before," explains John Ganotis, founder of CreditCardInsider.com. Granotis also says that if you're buying a used vehicle, it's wise bring along a friend who knows his or her stuff when it comes to car health. 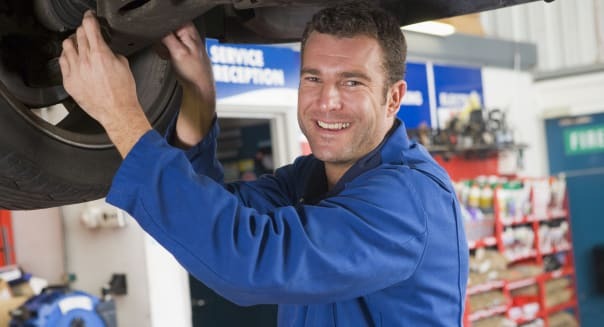 For example, a mechanic who can peek under the hood, or recognize if something subtle is wrong during the test drive, would be especially handy. You've likely heard it before, but we have to repeat this fact: Buying a used car is almost always a better value compared to buying new. If you like a particular model, buy the same car, but a year or several years older. Unless there have been major body changes, you'll hardly be able to tell the difference. OK, so sometimes ol' Sally breaks down, and you need to get a new set of wheels, stat. If you don't fall into that category, though, our experts recommend choosing your purchase date strategically, such as during a major sale. Better yet, wait for the end of a promotion. Dealership salespeople often receive a bonus if they meet their targets during a promotion. Even if they lose money on a vehicle at the end of a promotion, they typically make up for the loss with their promotion target bonus. Erin Konrad of CouponPal suggests buying near the end of the month. This is when salespeople are trying to meet monthly quotas and are more likely to negotiate. Be familiar with common strategies employed by dealerships and sellers. For example, MSN Money warns against the "four-square" trick. (I've had this one used on me.) In this trick, the salesperson draws four boxes with a number in each: your old car's trade-in value, the new car's price, the down payment, and your monthly payment. "From there, the salesperson begins crunching numbers -- most likely making it too hard for you to follow," writes MSN. He or she will shift your focus to the monthly payment, which can result in a longer loan and a higher interest rate. Another common trick is to heighten your sense of urgency, says Business Insider via Gregg Fidan, founder of RealCarTips.com and the author of "Honest Guide to Buying a Car." For example, the dealer may tell you "that color is not available; there's only three left statewide; the price is good only for today; someone else is interested in the car, better decide quickly, etc." In this case, be patient and courteous, but remain level-headed and never rush to buy. Study up on Fidan's list of 112 car-buying scams. To sum up the list: Don't let yourself get too caught up in the excitement of shiny metal, and remember that in six months that "new car excitement" will have faded, and you'll be due for an oil change.